August 29, 2018 – Ria Lim, MD, a specialist in endocrinology, has joined the Englewood Health Physician Network. Dr. Lim, who sees patients at Bergen Medical Alliance in Englewood, New Jersey, also joins the medical staff of Englewood Hospital, part of Englewood Health. 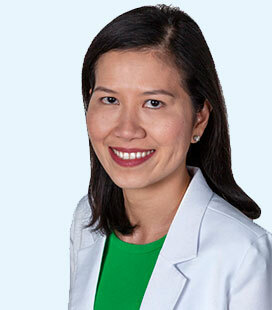 Dr. Lim is board certified in endocrinology, diabetes, metabolism and internal medicine. Her clinical interests include diagnosing and treating pituitary disorders, diabetes, metabolic disorders and thyroid disease including thyroid cancer. She also specializes in gestational diabetes, weight management and weight loss and metabolic bone disease, including osteoporosis. Dr. Lim received her MD from the University of Santo Tomas in Manila, Philippines. She did her residency in internal medicine and fellowship in endocrinology at the University of Connecticut School of Medicine. Dr. Lim joins Englewood Health from Backus Center for Endocrinology, Diabetes and Metabolism at the William W. Backus Hospital in Norwich, CT, where she has been in practice for the past 6 years. She is a member of the American Association of Clinical Endocrinologists, the Endocrine Society, and is active with the American Diabetes Association. She has lectured to educate other physicians on modern medications and technologies for diabetes management and on the latest medical treatments for osteoporosis and is an advocate for community education. Additionally, she is fluent in Filipino.